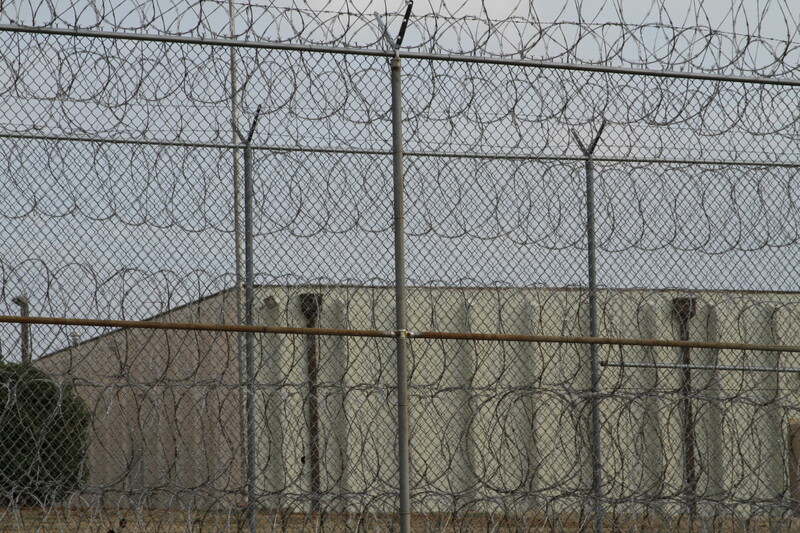 A razor wire fence surrounds the Joseph A. Harp Correctional Center in Lexington. This is the fourth in a series of stories reported jointly by Oklahoma Watch and KGOU Radio. The newest report by KGOU’s Kate Carlton Greer airs on Mon., Feb. 16. In Oklahoma, residential telephone service costs anywhere from $10 to $30 a month. A pre-paid cell phone plan with eight hours of calls can cost $35 a month, or seven cents a minute. There is no charge to activate the service. In prison or jail, it’s a different story. Prisoners cannot receive calls, but can make calls with money drawn from telephone accounts created and funded by family members or friends – a service offered by a for-profit vendor. Each call costs $3 for up to 15 minutes, or at least 20 cents a minute. If the call is dropped, which some inmates say is common, no refund is given; the inmate must pay for a new call. Inmates’ families and friends also pay fees to create their individual telephone accounts and per-transaction fees to deposit money into them. Inmates also can call collect at the same rates, but the set-up process can be complicated. Critics say prisons and jails are gouging offenders and their families for calls. The prices are so high that incarcerated people aren’t in touch with their loved ones, including their children, as often as they should be, advocates say. Such calls preserve social bonds that help many inmates re-enter society and lower the risks of recidivism, some experts say. Phone calls in prisons and jails are yielding substantial sums to the Oklahoma Department of Corrections and counties, records show. Out of the $3 paid for a 15-minute call in prison, $2.30, or 77 percent, goes to the Corrections Department as a commission. That is the among the highest percentages collected by a state corrections system in the nation, according to a 2013 report on inmate calling fees by Prison Legal News. An internal Corrections Department memo from 2011 shows the agency expected to generate $32 million in revenue from inmate calling fees over a decade. The rest goes to Value-Added Communications Inc., now owned by Virginia-based Global Tel-Link Corp., the exclusive vendor for inmate phone services in the corrections system. Calling fees for inmates have become a national controversy. In 2013, the Federal Communications Commission imposed interim caps on calling fees for inmates – 21 cents a minute for prepaid calls and 25 cents for collect calls. The caps were implemented over objections from state and local officials, including Oklahoma County Sheriff John Whetsel. In October 2014, the FCC moved to toughen the limits. It proposed permanent caps on calling fees, including in-state calls, which make up the majority of inmate calls, and curbs on related fees. The FCC also wants to ban “site commissions” paid by vendors to state and local agencies. A ruling is expected by summer. The FCC says that commissions aren’t being spent on the costs of delivering the phone service, rather to “subsidize everything from inmate welfare programs, to salaries and benefits of correctional facilities, states’ general revenue funds, and personnel training. “The cost of in-state calls remains high, calling fees have mounted, and payments to prisons unrelated to the cost of providing service have escalated, driving up rates,” the FCC said in an October news release. State and local officials say inmate phone commissions are essential for covering both the direct and indirect costs of providing phone service. Security issues surrounding calls are one extra cost. “If this order (to cap interstate phone fees) is not stayed, our jail and many other jails will have no alternative but to eliminate the availability of these telephone calls on the effective date of the order,” Oklahoma County Sheriff John Whetsel wrote to the FCC in March 2014. He cited the “unique challenges” of providing phone service in jails. Cassandra Bell, of Oklahoma City, has been in prison off and on since the 1990s on convictions of larceny, drug possession and other nonviolent crimes. 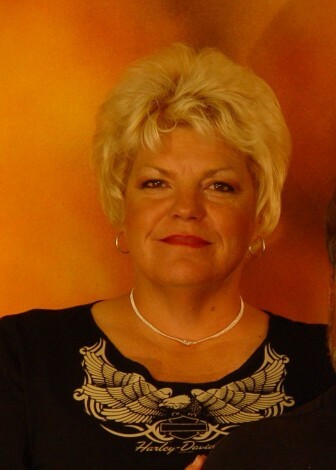 She was released from the Mabel Bassett Correctional Center last year. Bell said phone fees inside prison are high and cause many inmates to avoid or limit calls to family or friends. The fees also drive inmates to smuggle cell phones into the prisons, she said. Having a cell phone in prison is a felony. Bell has children, but said she rarely called them in prison because she didn’t have the money. Oklahoma’s criminal justice system has added dozens of fees and fines over the past few decades. Driving the trend is a quest for more revenue in the face of tight budgets and higher costs. Like other agencies, the Corrections Department and counties have turned to privatization, letting vendors provide phone, banking and other services to inmates in return for commissions. To talk to an Oklahoma prison inmate by phone, a family member or friend must set up a telephone account with Value-Added Communications, paying a one-time set-up fee of $4.75 and then $4.75 for each deposit into the account. Deposits can range from $25 to $110. Each account is linked to the family member’s or friend’s phone number. That means anyone wanting to receive an inmate’s calls to their home must create a separate account and deposit money. Inmates are limited to 22 authorized numbers of friends and family they can call. When the inmate enters a personal identification number and dials an in-state or out-of-state number, $3 is charged to the recipient’s account for a 15-minute call. Inmates also can mail payments from their “trust fund” to the phone-service vendor to be placed in a recipient’s account, but the process can take days or weeks and may involve extra fees. A 2011 letter from Tina Hicks, then administrator of contract and acquisition for the Corrections Department, shows that commissions were a top priority in awarding the contract to Value-Added Communications. “The final contract award recommendation is being made based upon the proposal that offered the highest revenue-sharing rates per call throughout the life of the contract,” she wrote. The state expected to receive $32 million in revenue over the 10-year term of the contract, which began in 2012. Value-Added would get $9.8 million. The department collects $2.30 of each $3 per-call fee. The $3 fee is lower than the $3.41 national average for pre-paid inmate calls, according to the Prison Legal News study. But the per-minute rate is higher than it appears because inmates often don’t use all 15 minutes. Oklahoma Watch analyzed a Corrections Department document listing total calls, total minutes and total phone revenue for each of 40 DOC facilities during the first six months of 2010. The average call made by inmates was just over 11 minutes, bringing the average cost per minute to at least 32 cents. At the time, the calling rate was $3.60 for a 15-minute call, or 24 cents per minute. According to a letter filed with the FCC last month by 45 former state attorneys general, including Drew Edmondson and Robert Henry of Oklahoma, commissions paid by inmate phone vendors to agencies average about 50 percent of gross phone revenues. “These commissions … result in inflated phone rates because the cost is passed on to consumers who pay for the calls – primarily prisoners’ family members,” the letter said. Corrections officials have warned the FCC that “eliminating site commissions would directly affect jail revenues and lead to a reduction in recreational and rehabilitation services provided to inmates by facilities,” the agency said. Oklahoma Corrections Chief Robert Patton defended the commissions in a letter last month to the FCC, saying they were crucial to the department’s operations. For Brenda Baker, a Florida resident, Oklahoma’s prison phone charges are not just a financial burden, but also an emotional one. Baker said she has spent more than $1,500 since July 2014 trying to keep in touch with her son, Timothy Wynn, who was in Mack Alford Correctional Center in Stringtown for domestic assault and is now in a halfway house. She said that paying $30 to $40 a week on calls was hard, but not as hard as not being able to contact her son. She feels the Corrections Department was preying on her. Reach M. Scott Carter at scarter@oklahomawatch.org. Support the only statewide investigative reporting publication in Oklahoma. Your contributions to Oklahoma Watch are tax-deductible and will help sustain efforts to produce high-quality, in-depth reports on the most pressing issues facing the state. Family members of Oklahoma prisoners say the state and counties are allowing private inmate banking firms to charge exorbitant fees for depositing money into inmates’ accounts.